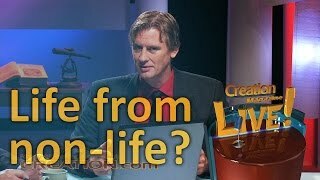 Have they proved that life came from outer space? Fragment of the Murchison meteorite (at right) and isolated individual particles (shown in the test tube). 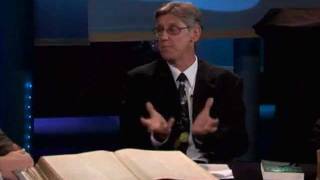 Have evolutionists proved that life came from outer space? 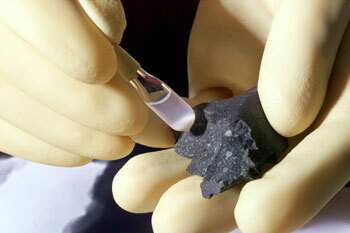 Evolutionary papers are buzzing with the reports that nucleobases were found in a meteorite. In some minds, this is tantamount to discovering life itself. But does the discovery justify the hype? One of the first discoveries was amino acids, the components of proteins.1 Later, there were dubious claims that some of the amino acids had a slight excess of the ‘handedness’ (chirality) required for life, as we have reported. Still later, there were claims that sugars and sugar-related compounds were discovered, which excited many because the backbones of DNA and RNA contain the sugars deoxyribose and ribose respectively. But see our report on why this offers no support for chemical evolution. 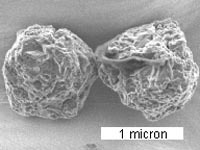 Pair of grains from the Murchison meteorite. This could be important, because these are the letters of the genetic code that stores the information of life in DNA and RNA. 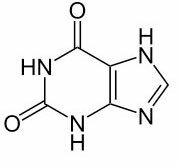 In particular, the bases found were uracil, a pyrimidine (single-ringed base), and xanthine, a purine (double-ringed base). 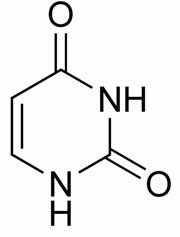 Uracil is found in RNA, and pairs with adenine, thus it substitutes for DNA’s thymine. Xanthine is not part of the genetic code, but it is found in living organisms from the breakdown of guanine, which is a base in DNA and RNA. As always, creationists do not necessarily dispute the observations of evolutionists, but often dispute the interpretations of these observations. Most of the researchers are not trying to find out whether chemical evolution has occurred. Rather, they assume that it has occurred, and merely trying to find out how. So it is small wonder that many are excited by the finding of the ‘building blocks’ of life anywhere, although they are light years away from finding proof that they ever could build anything. But [astrochemist Sandra] Pizzarello says too many other chemicals were present in the samples to clearly distinguish the carbon ratio. 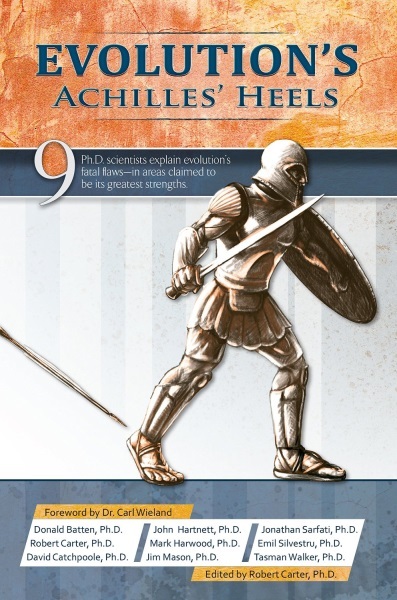 ‘Analytically, it’s not convincing,’ Pizzarello told New Scientist. Contamination is not so implausible. Uracil is not just a nucleobase in its own right, but also forms from hydrolysis of cytosine. Indeed, this instability of cytosine is a huge problem for chemical evolution. And cytosine pairs with guanine, which breaks down to form xanthine. However, this would be consistent with degradation from terrestrial sources as well. In DNA of living organisms, G-C linkages are somewhat more stable than A-T linkages, because the former have three hydrogen bonds while the latter have only two. 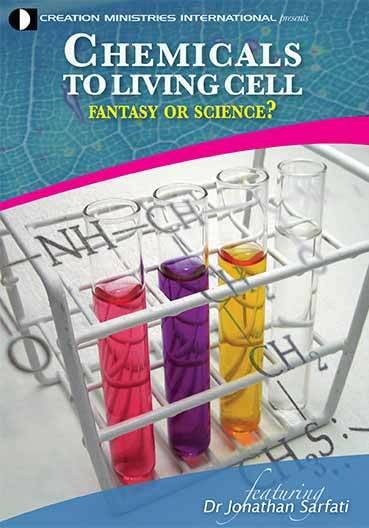 Creationists have long pointed out that some monomers (the components of big molecules or polymers) would be expected to be able to form naturalistically. So it is not surprising that some have been formed in both outer space and in the Miller–Urey simulation experiments. However, rather than proof of chemical evolution, the observations are evidence against it. This is because we never see them progress any further—they are chemical dead ends. In particular, to form DNA and RNA, it’s far from enough to find nucleobases. They must be purified from other closely related compounds, then concentrated. They must combine with ribose to form a nucleoside. But this reaction just doesn’t occur in water. And even in a dry environment (a primordial soup doesn’t quite qualify), purine nucleosides have been formed, but even this failed to form pyrimidine nucleosides. They must combine with phosphate to form a nucleotide. Yet phosphate concentrations in naturally occurring water are far too low. And this phosphate must be activated otherwise the reaction won’t occur. These nucleotides must be activated, purified and concentrated so they will combine to form polymers. But even then, polymerization must have first occurred without a template, and pyrimidines won’t polymerize even with a polypurine template. Rather than proof of chemical evolution, the observations are evidence against it. This is because we never see them progress any further—they are chemical dead ends. The Imperial College press release called the findings ‘an important component of early genetic material’. But this is true only in the sense that a carburettor is an important part of an early car, or that a letter of alphabet soup might have been an important component of an early message. This is hardly the first time that the pro-evolution mass media have hyped scientific discoveries as proof of goo-to-you evolution. When the actual evidence is analysed, even if reported correctly, it fails to support what it claims. In the case of the origin of life, such discoveries really show the limits of what real chemistry can achieve without intelligent design. 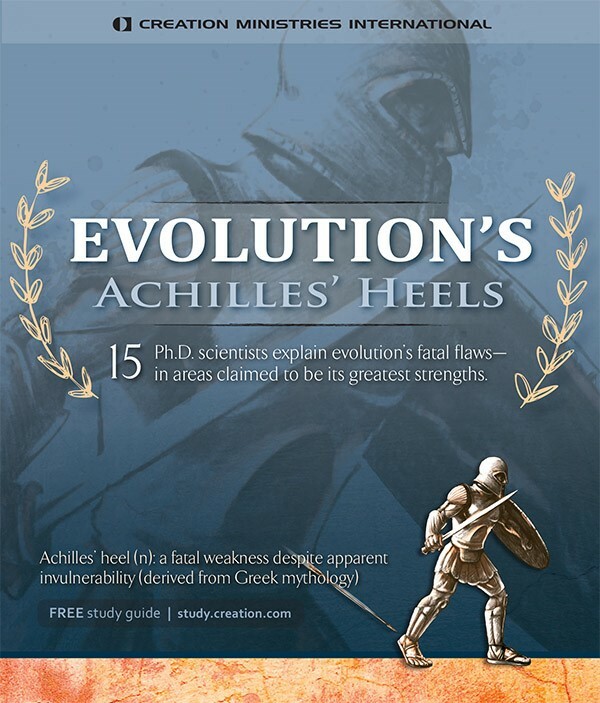 That is, not only do the observations provide no support for chemical evolution, they are actually further evidence that chemical evolution is based on blind faith rather than fact. Kvenvolden, Keith A. et al. Evidence for extraterrestrial amino-acids and hydrocarbons in the Murchison meteorite, Nature 228 (5275): 923–926, 1970 | doi:10.1038/228923a0. Return to text. Martins, Z. et al., Extraterrestrial nucleobases in the Murchison meteorite, Earth and Planetary Science Letters 270:130–136. 15 June 2008 | doi: 10.1016/j.epsl.2008.03.026 Return to text. ‘Carbon isotope ratios for uracil and xanthine of δ13C=+44.5‰ and +37.7‰, respectively, indicate a non-terrestrial origin for these compounds … Soil uracil has a δ13C value of −10.6‰ (±1.8‰) and xanthine was below the detection limit of GC-CIRMS (~1 ppb). Thus, there should be no terrestrial contribution from the landing site soil to the value for xanthine measured in the meteorite.’; Martins, Ref. 2 Return to text. Courtland, R., Genetic building blocks may have formed in space, NewScientist.com news service, 13 June 2008 Return to text. Levy, M., Miller, S.L., 1998. The stability of the RNA bases: implications for the origin of life. Proc. Natl. Acad. Sci. 95:7933–7938. Return to text. Polanyi, M., Life’s irreducible structure, Science 160:1308, 1968. Return to text.